Just take a look at those gorgeous, double flowering blossoms! The pictures truly speak for themselves. The Pink Flowering Almond (Prunus glandulosa 'Rosea Plena'), is a simply perfect burst of color in the spring.  This wonderful dwarf flowering almond shrub has become a landscape favorite throughout the United States. In early spring, double pink flowers cover the stems before a single leaf appears. What a fabulous way to welcome spring! The early bloom of the Pink Flowering Almond wakes up early and the fluffy pink blooms are done as the rest of the garden comes alive in the spring. An Asian native, the Pink Flowering Almond found its way from China to the United States in the late 1700's. This was a favorite shrub of Thomas Jefferson and he planted it extensively at his Monticello estate. Gardeners have always loved this compact, multi-stemmed shrub. It's slender stems give it a very graceful, delicate look. The delicate branches will become arching with the weight of the spring bloom. Both hardy and delicate at the same time, Pink Flowering Almond really knows how to put on a spring show. 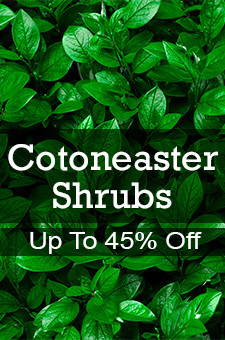 Be sure to order this delightful shrub if you see it in stock. We sell out very quickly, so order now! The burst of spring color is a welcome attraction. Use this as an accent plant placed with other later-flowering shrubs. The new growth emerges and showcases shiny, dainty green leaves which will continue to add a brilliant soft texture to the landscape. Use as a background shrub bordering the yard in a mixed shrub border. Allow a wide area of about 5 feet to accommodate the spread between other plants. You probably won't see the tiny fruits that develop later, but your local birds are sure to take notice. When fall arrives, coppery-yellow tones spice up the landscape for fall, especially in colder growing zones. Select this plant only if you have well-drained soil. Pink Flowering Almond - though tough - is very sensitive to wet feet. Otherwise, it's a widely adapted plant and easy to grow, even in challenging dry locations, getting by with a minimal amount of summer water. Make sure to include mulch to keep the roots cool in the drier climates. Prune it right after flowering to keep the plant size in check and to renew the next years flower wood. Because it's cold hardy to zone 4, the Pink Flowering Almond has become a popular addition to the cold country landscapes. Plant in full sun for best results in colder growing zones. The lovely Pink Flowering Almond (Prunus glandulosa 'Rosa Plea') has a lot of very admirable features. Don't miss out on its benefits and beauty - order today!